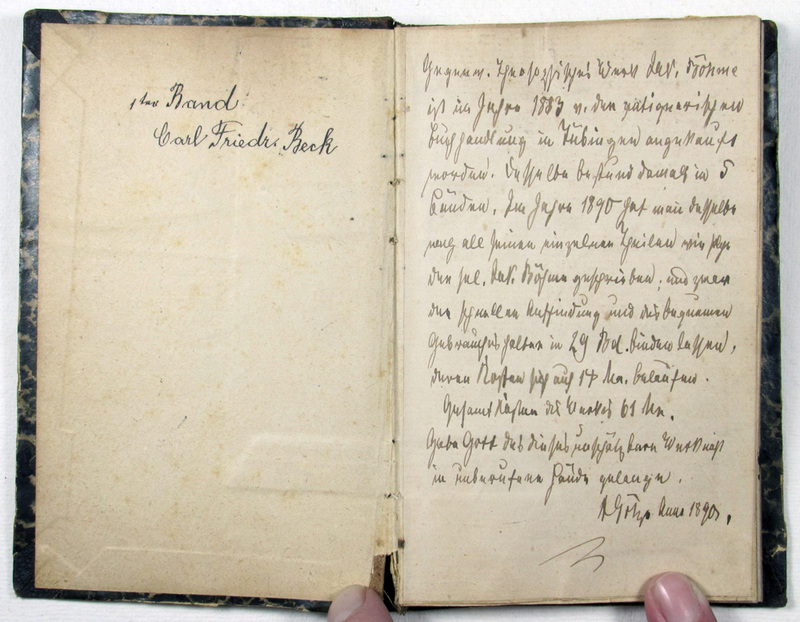 Endpaper sample/swatch book from the Buntpapier- and Leimfabrik A.-G. in Aschaffenburg, Germany, and dated 1901/2. 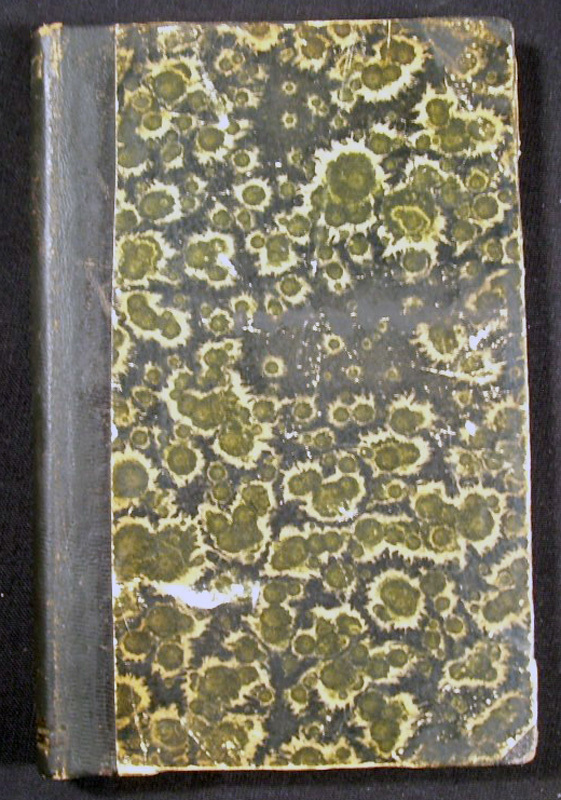 The volume is in the HathiTrust digital collection with the original part of the The New York Public Library's Paul Kersten & Hans Loubier Collections of Books on Bookbinding. From time to time I will share other books from the HathiTrust. Regrettably the link will only work for viewers coming in with US based IP-addresses. Link to the book directly at HathiTrust here. A few weeks ago Peter Zillig (Vuscor) shared a book he had found on ebay that was being offered by a dealer in Cologne, Germany. 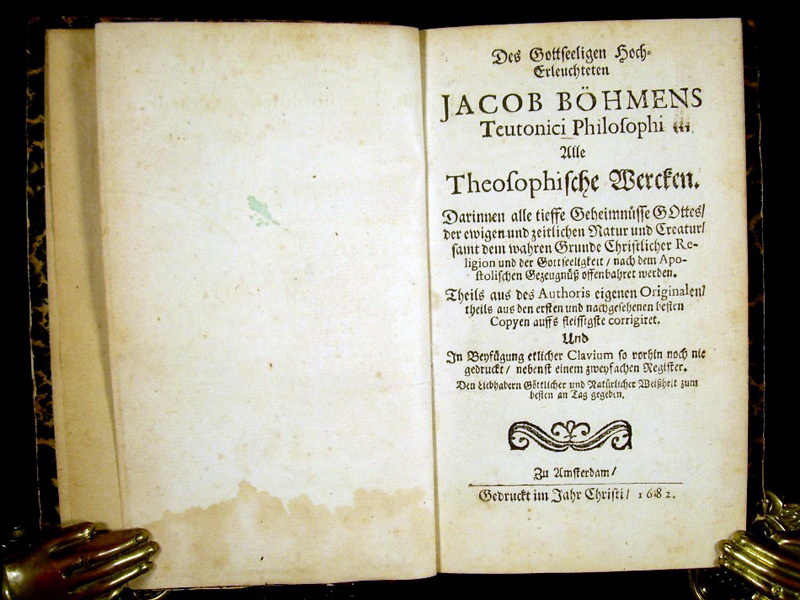 The book is Jacob Böhmen's (1575-1624) Alle Theosophischen Schrifften (Complete Theosophical Works), vol 1 (author's biography), printed 1682 in Amsterdam. 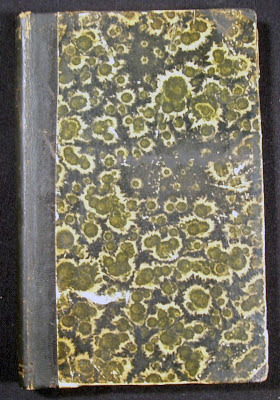 At 15x9 cm and 144 pages it is a rather small tome, in a rather plain late 19th century German binding. While the content of the book might be interesting to those interested in theosophy, it is the provenance and what was done to the book that made it interesting enough for me to spend the not insignificant sum of €181. The book was originally issued in 15 volumes and had been rebound into 5 volumes at some point before 1890 when it was disbound and then rebound into its 29 individual sections/chapters. 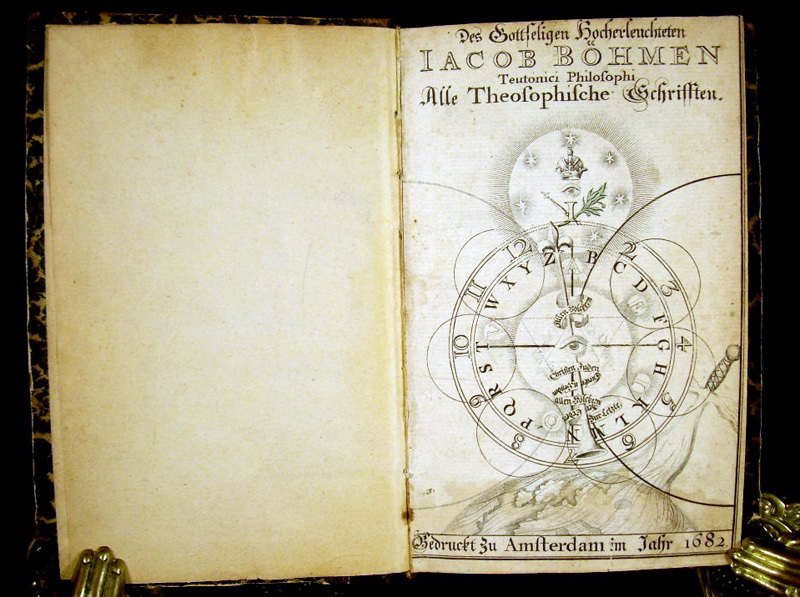 This was done for easier access to the text by the owner who bought it from an antiquarian in Tübingen in 1883. 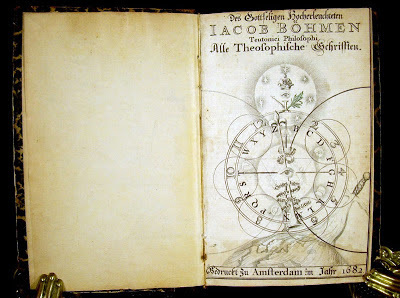 What is unusual and very nice to find is that the owner (Carl Friedrich Beck) wrote his rationale for rebinding and the costs onto the flyleaf. Gegenw[ärtiges] theosophisches Werk Jak. 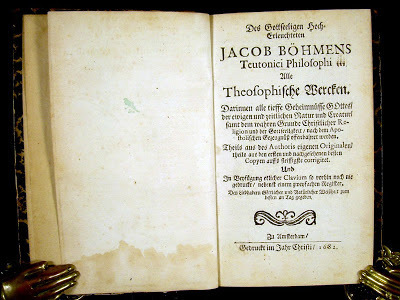 Böhme ist im Jahre 1883 v. der antiquarischen Buchhandlung in Tübingen angekauft worden. Dasselbe bestund damals in 5 Bänden. Im Jahre 1890 hat man dasselbe nach all seinen einzelnen Theilen wie solche der sel. Böhme geschreiben, und zwar der schnellen Auffindung und des bequemen Gebrauchs halber in 29 Bd. binden lassen, deren Kosten sich auf 18 M. belaufen. Gesamtkosten des Werks 61 M. Gebe Gott, daß dieses unschätzbare Werk nicht in unberufene Hände gelange. Anno 1890. All in a all a great find - Danke Peter fürs darauf aufmerksam machen.